Hello, and thank you for taking the time to get to know a little more about us! My name is Dave Karshick. Working as a landscaper back in Long Island, N.Y. is where I first noticed a need for a service like Doody Free 941. Our crew would step in it and it would get into our lawn equipment, making our job much harder. I began providing the service to customers as a small side business, but with long hours and myself as the only employee, the timing just wasn’t right and I unfortunately had to stop. Years later, I moved to Tampa, FL to work as a Branch Manager for a major landscaping company. That is also where I would meet my beautiful future wife, Via. After relocating to Sarasota, FL in 2010, we knew this is where we would settle down and call home. Still seeing the same need here in Florida as I did back in Long Island, I decided this is where I would give my “dog waste removal” idea one more shot. I started researching all that I could and that is when I discovered how big of a negative impact dog waste can have on the environment; not just locally, but globally. This gave me the drive to “pick up” where I had left off all those years ago. That afternoon I told Via about my idea to start Doody Free 941. For the first couple of years I would “pick up” yards on the weekends as we built up our client base from small print ads, local dog events and of course…. word of mouth. Our business began growing and Via started to see how “pooped” I was every day after work and offered to leave her job as a Retail Manager and take over the “Doody Duties”. She was working the routes three days a week, which quickly grew to a full time Monday to Friday job. Soon after, we were able to purchase our first company truck and stopped using the trunk of our Honda Civic. We continued to grow and I left my job to devote 100% of my time to Doody Free 941. With myself out in the field and Via taking care of the office, I knew we could make this happen. 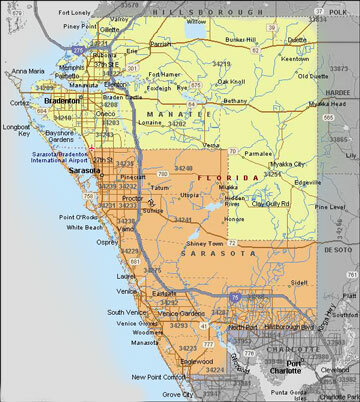 From humble beginnings, we now proudly serve customers in Sarasota, Manatee and Charlotte Counties and provide services to corporate and apartment complexes, town parks, dog runs, as well as residential yards. Soon to be married and the proud parents of two dogs, Nigel and Pixie, we look forward to keeping yards clean and the Earth green… one “scoop” at a time!